“I so much wanted to say ‘thank you’ to you all. Thank you really. (Being on ‘SNL’) was such a great opportunity and I still can’t believe it,” he gushed. “We had a rehearsal two days ago and seeing the band prepping, everything felt surreal. But taking to the live stage made me very nervous,” he admitted. Watch the full clip at https://www.vlive.tv/video/123634. 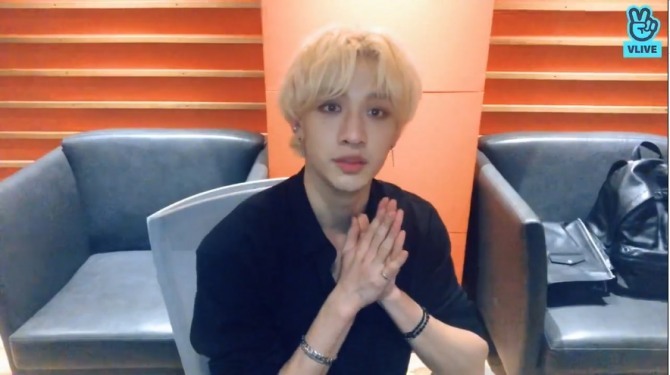 Bang Chan of Stray Kids shared his recent favorite music in the 15th episode of his solo segment on V Live. “We have already wrapped up our third week since releasing our new album and this time we think we are enjoying (performing) more on the stage ourselves. It’s good to share our unique energy with you,” said the leader of the nine-piece boy band. His first pick for the day was Seven Lions, Illenium and Said the Sky’s “Rush Over Me,” a melodic electronic track recommended by his friend in Australia. Watch the full video at https://www.vlive.tv/video/123672. 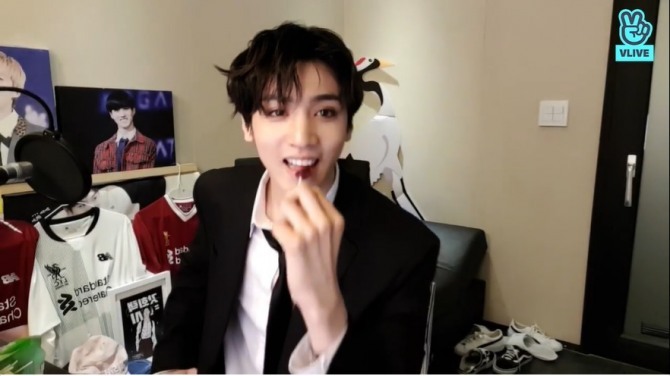 Pentagon’s Wooseok goes live at 1 a.m.
Pentagon’s Wooseok had a late-night talk with fans via Naver’s V Live. “I haven’t even changed for this,” said the idol, still wearing a suit and sucking on a grape-flavored lollipop, getting into the rhythm of American pop group Why Don’t We’s “Talk.” “I really like this song, ever since the release,” he said. Watch the full clip at https://www.vlive.tv/video/123683. 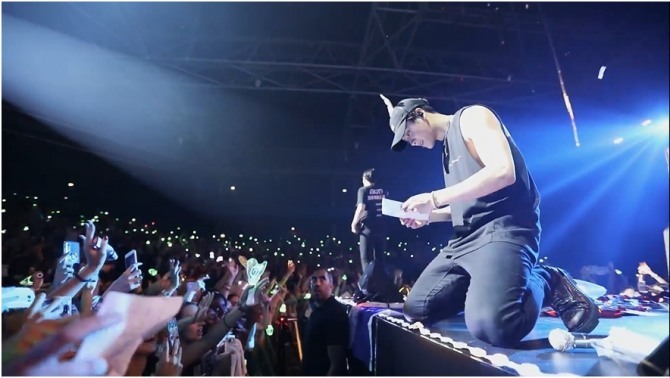 GOT7 shared a video shot in Paris from a series of clips chronicling their global tour last year. 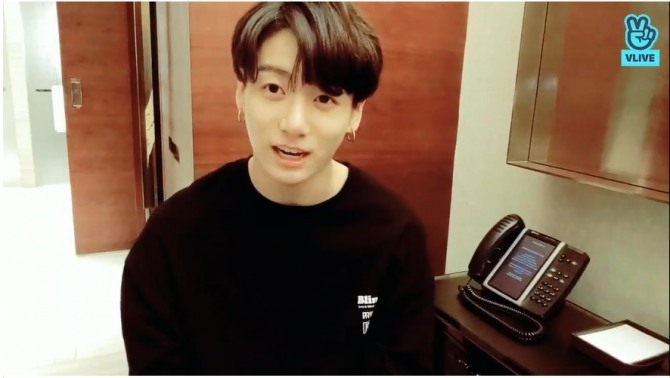 Watch the video at https://www.vlive.tv/video/123612.